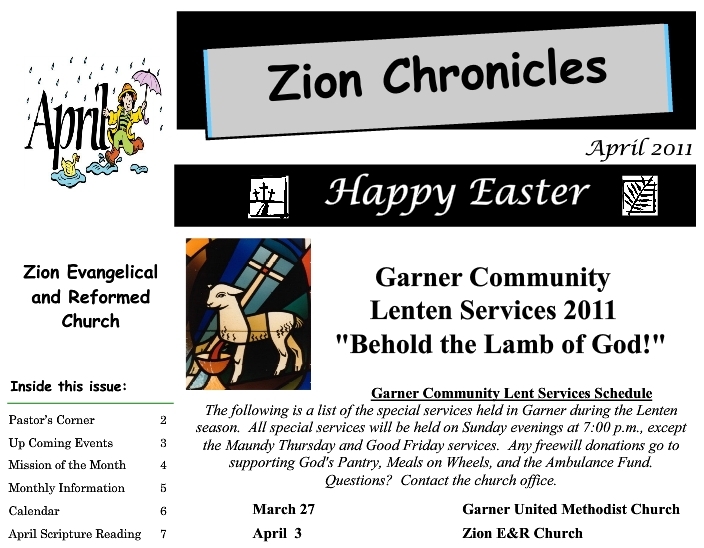 The Zion Chronicles for June and July 2012 is now available for download. You can view the document or download it here. Also, we have updated the church calendar for the month. You can view that by month, week, daily, or agenda style, by clicking here.